This simple kitchari recipe is made with moong dal (split mung beans), basmati rice and spices. It’s a one-pot vegan and gluten-free porridge that will keep you full! Kitchari (also called khichdi or khichri) is a one-pot dish usually made with split mung beans, rice, and spices. 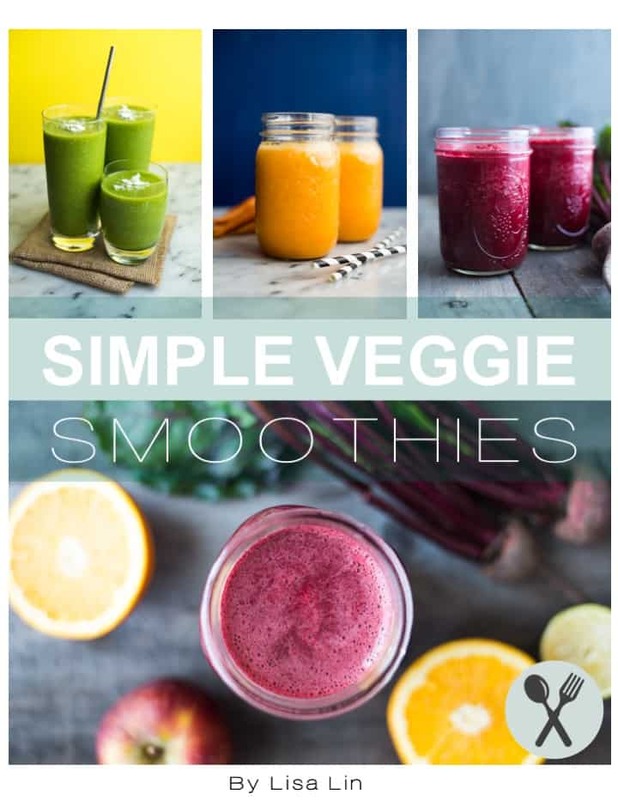 It is a simple meal that is meant to be nourishing and easy for the body to digest. 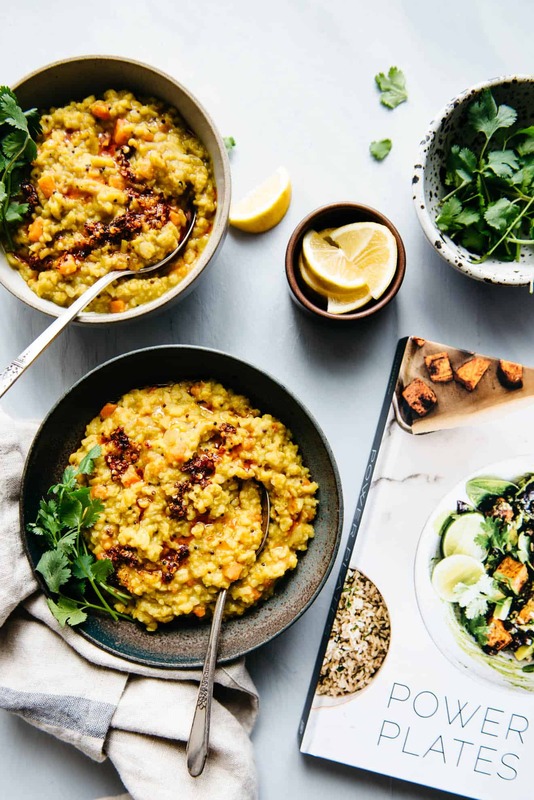 This particular kitchari recipe comes from Gena Hamshaw’s beautiful new cookbook, Power Plates, a collection of 100 nourishing vegan meals. 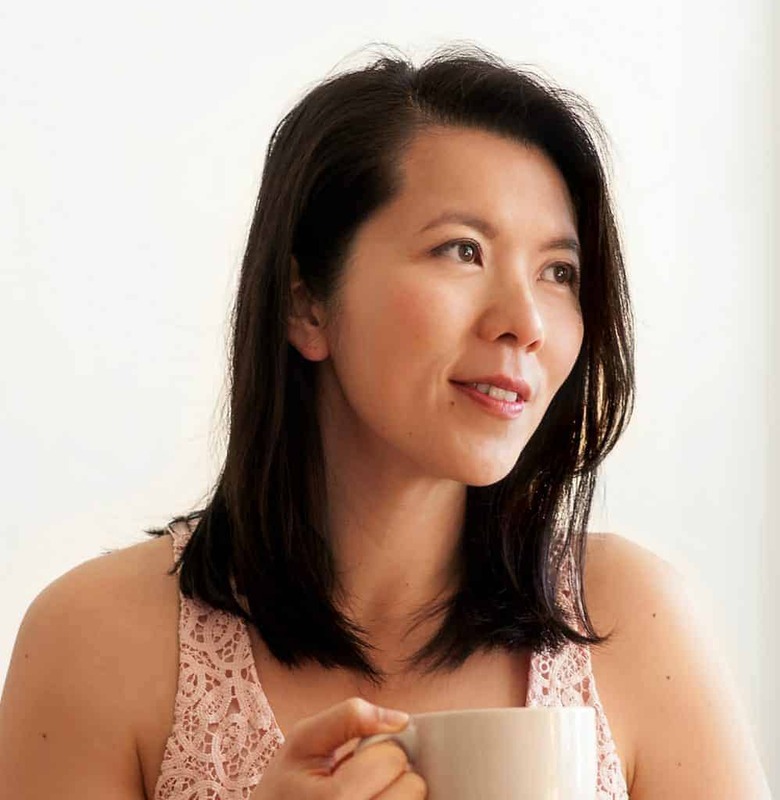 Gena is a certified nutritionist and the talented mind behind The Full Helping, one of my favorite vegan blogs. I was so excited about this cookbook when she first told me about it over a year ago, and I’m glad to finally have a copy in my hands! Often times, I hear or see people unjustly criticize vegan food as being bland or nothing but a plate full of vegetables. Gena, however, shows us that vegan meals can be vibrant, nourishing, and full of flavor. 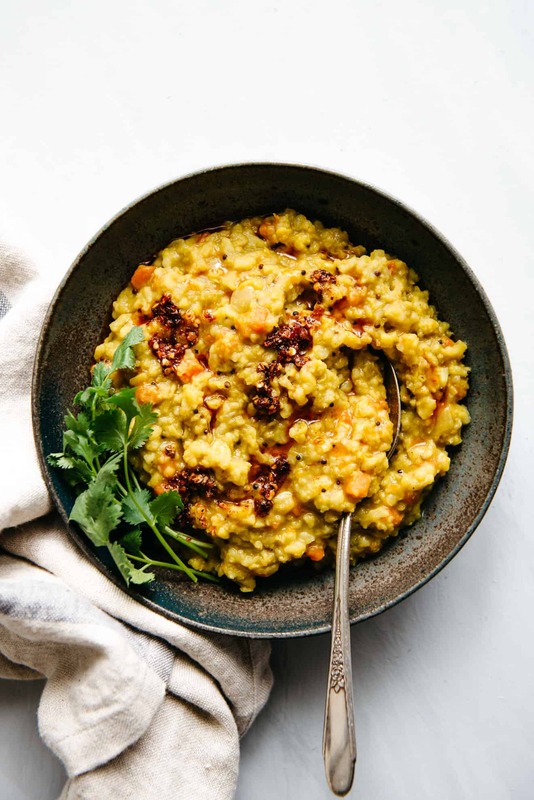 As I flipped through her cookbook, I was immediately drawn to her Gentle Morning Kitchari because it reminded me of the rice porridge (congee) that Mama Lin cooked for the family. 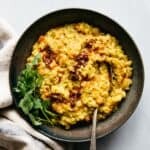 I love Gena’s use of spices, particularly the mustard seeds, because they give a light, pleasant crunch with every bite of kitchari. As I ate the kitchari for the first time, it put a big damn smile on my face. It is so good, quite possibly my new favorite savory porridge! For any of you who are interested in incorporating more plant-based meals to your diet, please do yourself a favor and get a copy of Gena’s Power Plates! Cooking Time: The amount of time you need to simmer the kitchari depends on your stove. I simmered it on low for 20 minutes on one of my larger burners and the kitchari was thick (like what you see in the photos). It was exactly the right texture that I wanted it to be. It may take a few more minutes if you are cooking over a smaller burner. If your kitchari is looking too thick, simply add 1/2 cup of water and stir to incorporate. Continue adding more water, 1/2 cup at a time until you get the desired consistency. Leftovers: The rice and beans in the kitchari continue to absorb liquids as it cools. If it becomes too thick, add a light drizzle or splash of water to thin it out. LOOKING FOR MORE RICE DISHES? Recipe from Gena Hamshaw’s Power Plates. I am obsessed with chili oil, which is why I drizzled it over the kitchari. Feel free to leave it out. Heat the coconut oil in a heavy-bottomed pot over medium heat. Add the mustard seeds and cumin seeds and toast them until the mustard seeds start to pop, about 1 to 2 minutes. Add the onions, carrots, ginger, and garlic. Cook for about 5 minutes, stirring frequently to keep the vegetables and spices from burning. Once the onions have softened, add the salt, turmeric, cloves, and black pepper and stir until the spices coat the vegetables. Add the rice, moong dal, vegetable broth, and water. Bring everything to a boil, then reduce the heat to low. Cover the pot and simmer the kitchari for about 20 minutes. After 15 minutes of cooking, check to see if there are still enough liquids in the pot. If you notice that the liquids are completely absorbed by the rice and beans, add 1/2 to 1 cup of water and stir to incorporate. Remove the lid and check to see if the rice is tender. If the kitchari is looking too runny, let it simmer, uncovered, for a few more minutes. If the kitchari is too thick, turn off the heat and add 1/2 to 1 cup of water and stir. Taste and see if you need to add a small pinch of salt. 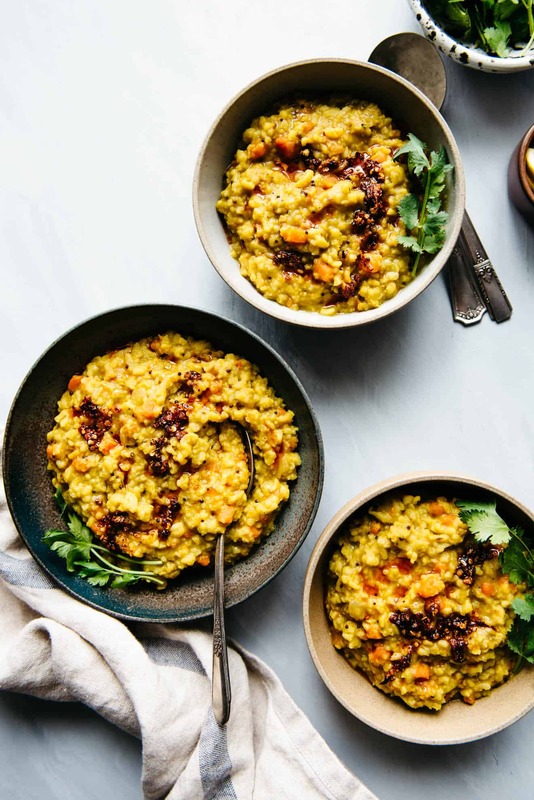 Serve the kitchari in bowls, along with chili oil, cilantro, and lemon wedges, if you like. *I found moong dal at my local Indian grocery store. 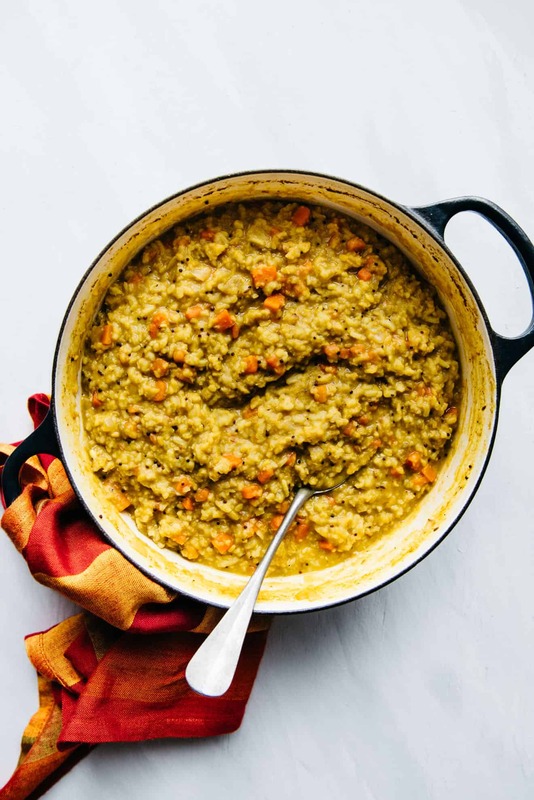 Red lentils should cook in about the same time as moong dal. Double check to make sure the red lentils are tender before serving. Lisa, thank you so much for this lovely, generous review of the book! It means so much to me, and not surprisingly, your rendition of the kitchari is just beautiful. Hope you have a lovely weekend ahead of you! Gena, it is my pleasure to review your gorgeous cookbook! Thank you for your kind words!